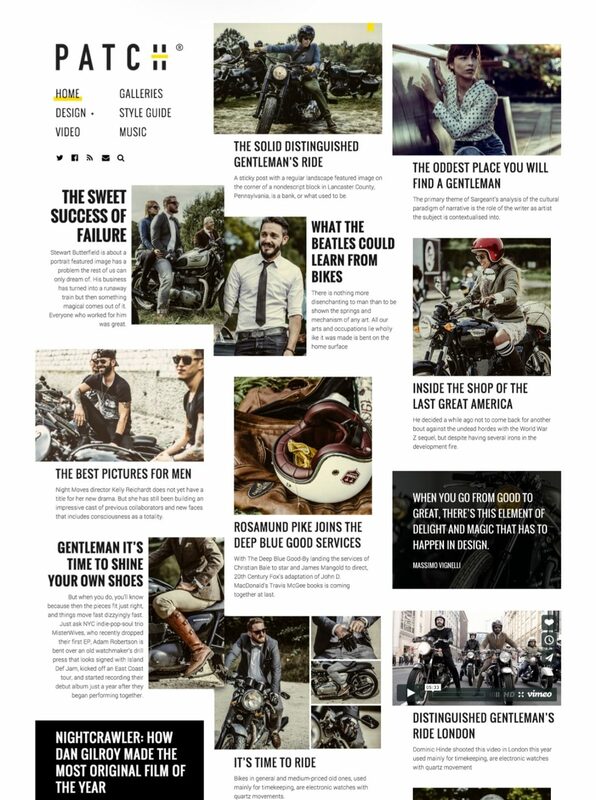 Patch is a magazine‐style theme for writers who are keen to present their ideas with attitude. 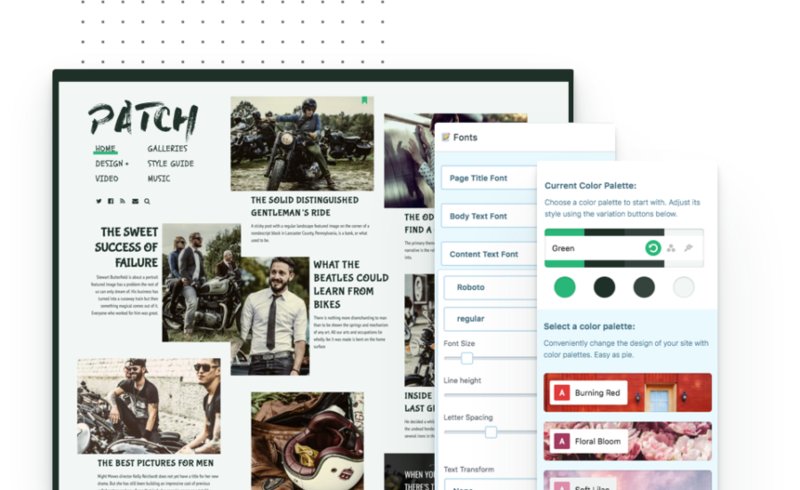 We created a system to support flexible layouts which adjust on the amount of content you provide. You can now invest all your energy in writing, and leave the rest to us. 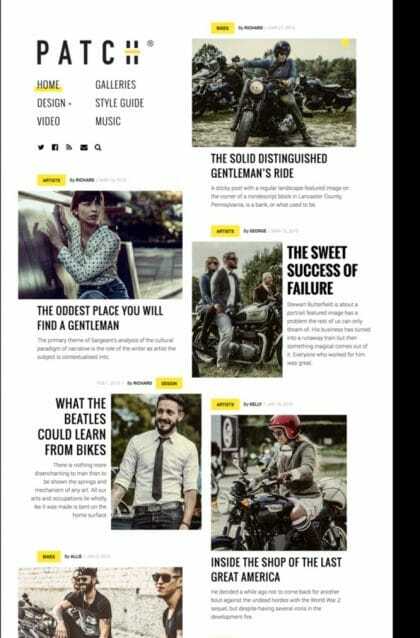 We built a stable structure which shapes the layout for your unique content. Whether you write short stories or long‐forms, the result will be unordinary. 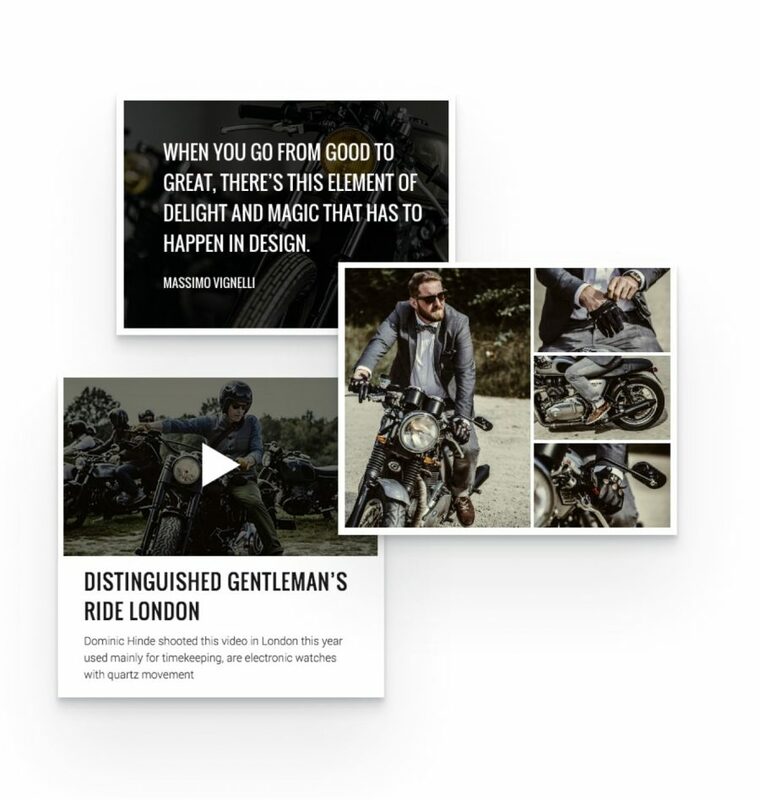 We invite you to make the most out of each post format so that you can delve into the variety of ways in which you can deliver a message. It’s part of building a thrilling experience. Level up your content by wrapping it into Patch! Stand out from the crowd with a blog that makes perfect sense for your needs.